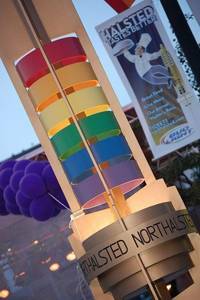 The ELVN board would like to hear from Lakeview residents regarding your experience with this year’s Pride parade. Please let us know how the parade affected you or impacted your property, both during the running of the parade and afterwards. We also hope you will share your opinion regarding whether the Pride parade should remain in Lakeview. Please send your comments to friends@eastlakeview.org by July 8 so that we may share them with the Aldermen’s gay pride Parade Advisory Committee. This entry was posted in Community News and tagged festivals, parades, Pride Parade on July 2, 2015 by elvn_updates.